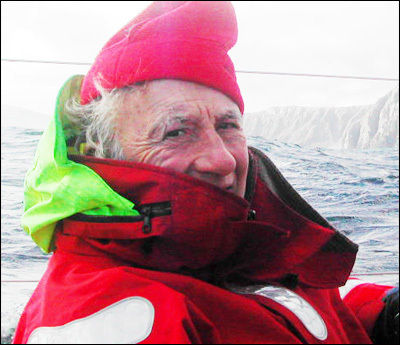 Berrimilla’s first circumnavigation began with the 2004 Sydney-Hobart race, continued via an unscheduled stop in Dunedin, New Zealand, after a severe knockdown and on to Cape Horn and Port Stanley in the Falkland Islands/Malvinas. 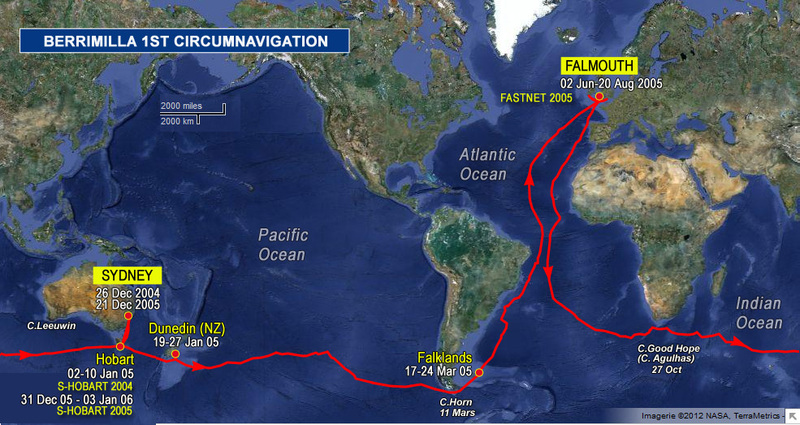 Thence she sailed direct to Falmouth, UK, talking with the International Space Station along the way. 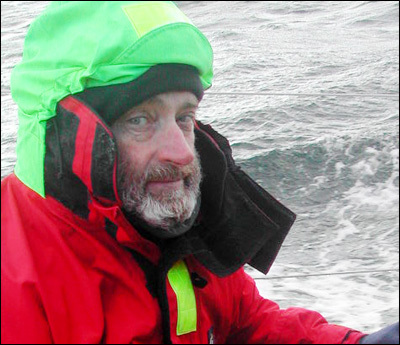 She finished 11th overall in the 2005 Fastnet race and returned direct from Falmouth to Hobart and then to Sydney in time to start in the 2005 Sydney-Hobart.